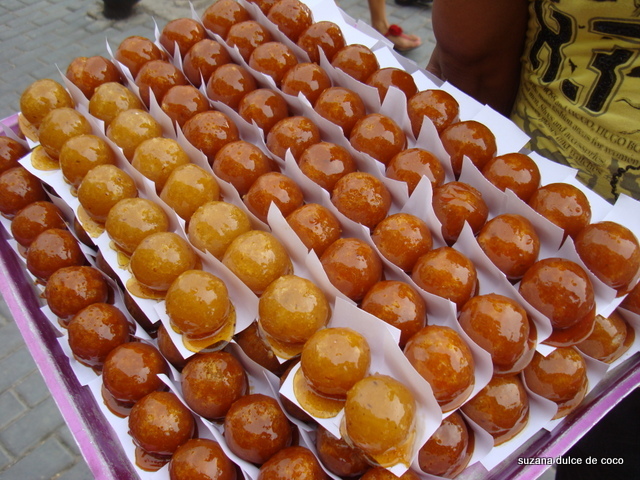 Coconut Sweets and deep fried pasta! 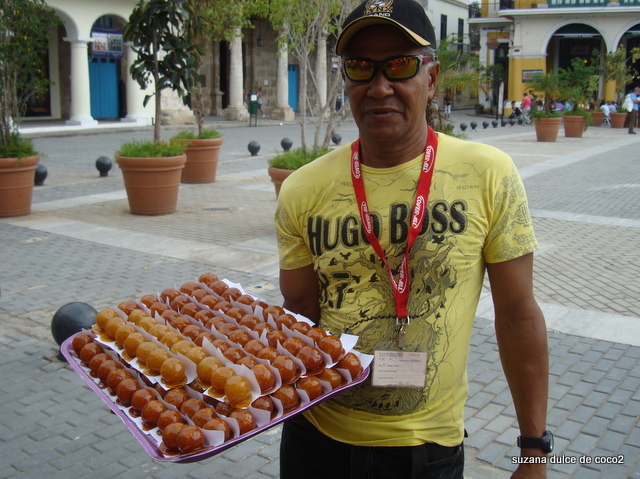 Cuba’s answer to snacking! Every country has its junk food and street food and Cuba, despite all its shortages is no exception!”Necessity is the mother of invention” so the saying goes, and never a phrase more truly represents all aspects of life in Cuba today. Locally sourced home grown food is no luxury here, is all that’s available, and Cubans make the most of what little they have. You need not search for pre packaged bags of potato crisps, colourful snack size bags of peanuts nor huge selections of biscuits and cookies in beautiful plastic wrappings! Out on the streets, in the popular plazas and especially on the Malecon (the walled sea front where lover go to stroll at night and fishermen spend their days casting out to sea) these are the haunts for the street sellers. Frequently you’ll find old ladies and gents in straw hats carrying a bundle of cone shaped paper packages and ambling along in the sunshine. These old folks will be calling “mani mani” (peanuts) or “chicharrita” (which is a general term for junk food) Some cones they are clutching are the size of an icecream, others thinner still, and here size matters! The thin ones are mani and the fat ones chcharrita! If you are lucky the peanuts will still be warm from the roasting, they are small, salty and very tasty! 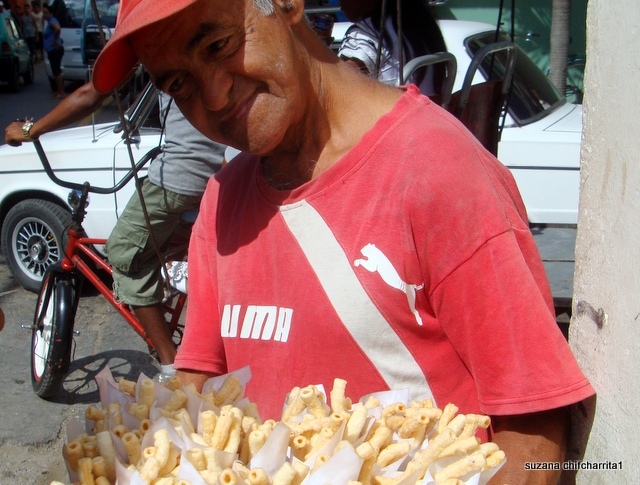 The chicahrrita is a totally Cuban invention, its deep fried pasta and comes crunchy, crisp and salty in the style of a pasta tube, like penne or macaroni. For a few pesos MN (moneda nacional) any child or adult can crunch their way through these simple snacks that fill a gap between lunch and dinner! 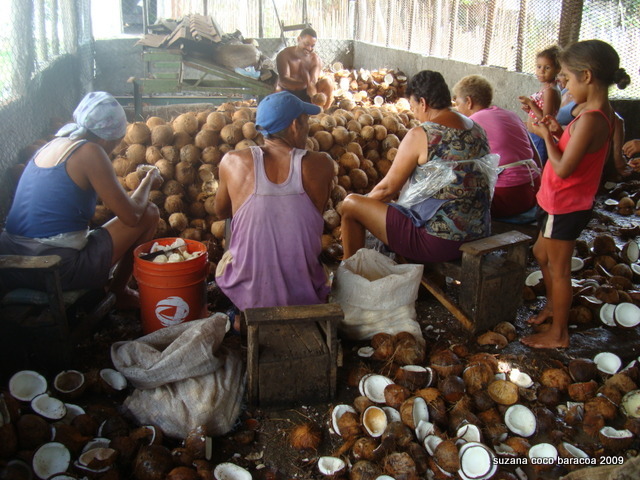 Younger stronger bodies are needed to carry the trays of “Dulces de Coco” (coconut sweets ) that glisten in the sunshine attracting children like bees to a honeycomb! These street hawkers need strong biceps and walk the streets selling their wears which quickly disappear. Coconut is the main ingredient and grows abundantly on the island, then you need a generous helping of sugar for which Cuba is famous. The resulting globes of sweet coco gleam like jewels on their trays. Irresistible!! We can recommend you try a dulce de coco and a cup of Cubas delicious coffee, the perfect partnership! Why not book your tour today to Cuba today and taste for yourself!